CORRECTION: An earlier headline incorrectly listed the dates of this workshop. The correct dates are May 3-5, 2013. 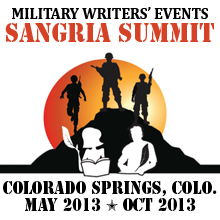 The May 2013 Sangria Summit Military Writers' Workshop will offer insights into the process of writing, getting published, and promoting your work, with a focus on the unique challenges of writing about the military. Panel discussions and how-to seminars will be applicable to both working and aspiring creators of non-fiction, fiction, and visual content. The event will take place May 3 to 5, 2013 in Colorado Springs, Colo. at the Mandatory Fun store. Address and telephone for the business appears below. Thursdays and Fridays: 10 a.m. to 9 p.m.
Saturdays and Sundays: 1 p.m. to 9 p.m.
Conference schedule and hotel information were unavailable at press time. Red Bull Rising readers will remember previous blog-posts from the inaugural Sangria Summit event, which took place last September in Denver. Since that time, the blog has also been sponsored by the co-founders of the Sangria Summit, a mutually supportive relationship that ends amicably at the end of this month. 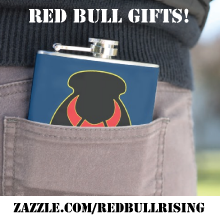 "The Sangria Summit sponsorship allowed the Red Bull Rising blog to focus more frequently on writing about military writing," says mil-blogger Randy "Sherpa" Brown. "A lot of good ideas and connections were made at the inaugural event, and through the resulting blog coverage. Most importantly, some of the alumni have gone on to concrete achievements in a short period of time." Helena Kaufman, Nathan Brookshire, and Marius Tecoanta re-launched the Military Success Network. Brookshire and Tecoanta are also co-authors of "Hidden Wounds: A Soldier's Burden." Antonio Salinas, author of "Siren's Song: The Allure Of War," has completed the manuscript and signed a contract for a second book. John Holmes, creator of PowerPoint Ranger, recently released an e-book titled "Even Zombie Killers Get The Blues." 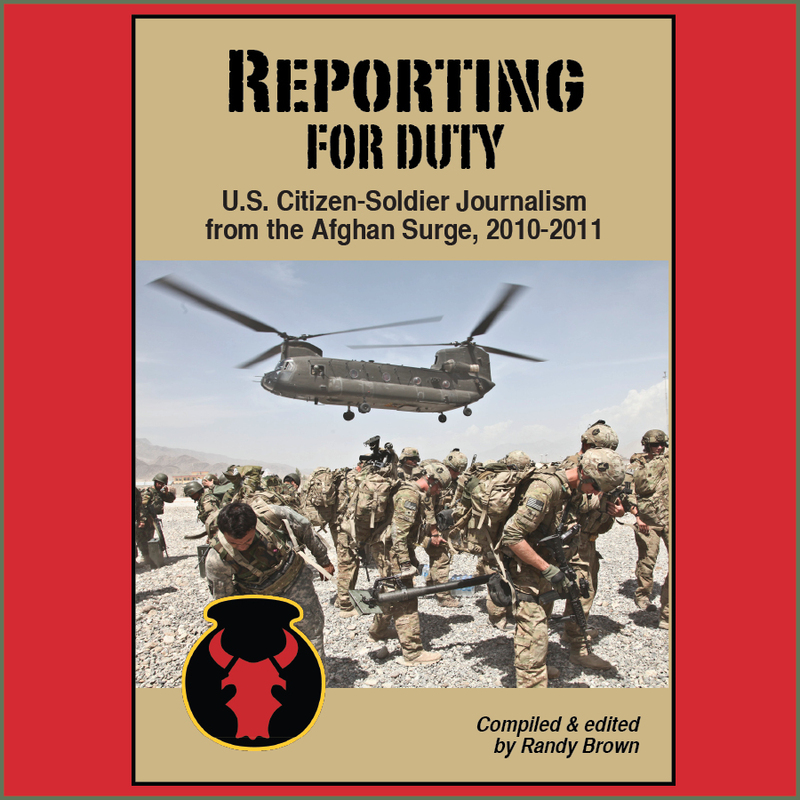 Note: This content regarding military writing is underwritten by Victor Ian LLC, a military media and gaming business. The business publishes Lanterloon, an eclectic lifestyle, technology, and military blog; has physical retail storefronts called "Dragons and Dragoons" and "Mandatory Fun" located in Colorado Springs, Colo.; and hosts military-writing workshops and other events under the "Sangria Summit" brand name. 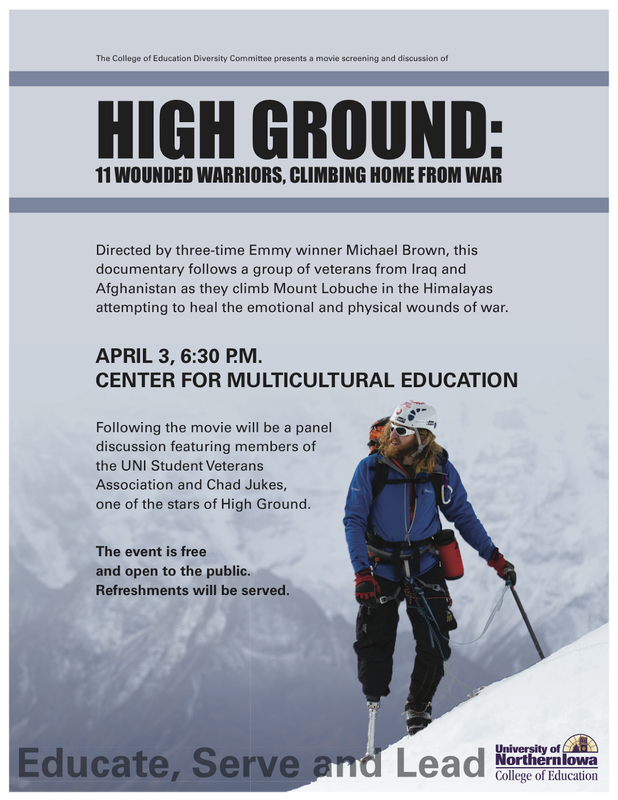 The 2012 feature-length documentary "High Ground: 11 Wounded Warriors, Climbing Home From War," will be screened Wed., April 3, 6:30 p.m. on the campus of the University of Northern Iowa, Cedar Falls, Iowa. The event will be held in the Center for Multicultural Education, and will be free and open to the public. Refreshments will be served. The movie chronicles the efforts of 11 veterans to climb the 20,161-foot-high summit of Lobuche East, which is located approximately 9 miles from the world's highest peak, Mount Everest, Nepal. The University of Northern Iowa event is co-sponsored by the UNI College of Education Diversity Committee and the UNI Student Veterans Association. 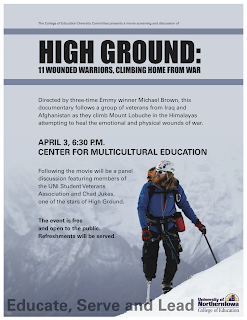 Veteran Chad Jukes, one of the climbers featured in the film, will participate in a panel discussion and question-and-answer session following the film. The movie was produced by Academy Award nominee Don Hahn, and directed by three-time Emmy winner Mike Brown. Writer Brian Mockenhaupt also shares a writing credit on the project, along with others. For a preview trailer of the movie, click here. For information on the movie on DVD, click here . The winners of "Boonie's Haiku Contest" are announced below. More than 50 entries were considered. During judging, names were removed from entries. The judges looked first for strict adherence to the 17-syllable format (lines of 5-, 7-, and 5-syllables) specified in the contest rules, then moved on to consider questions of how the poems evoked nature and deployed military life. The best created a surprise of recognition. The judges said: "We liked how the reader is left to determine whether the tree shades the guard tower, provides cover for it, or potentially blocks its view. We also liked how the poem suggested Vietnam." Second place goes to John Mittle, who will receive an autographed and personalized edition of David Abrams' 2012 novel "Fobbit." Mittle is a contributor to The Duffel Blog. Bronze Star on the way. The judges said: "The 'on the way' cracked us up! So did the sudden idea of the Bronze Star as either wishing star or morning star." 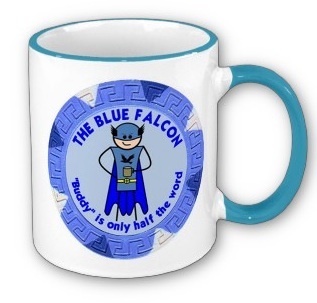 Third place goes to Joseph Davidovski, who will receive a "Blue Falcon" coffee mug designed by Doctrine Man!! The judges said: "Anyone who has weathered the 'red air' of a no-fly situation will recognize how nature can stop everything but PowerPoint and a staff meeting." One entry, from tgdrakes, practically created its own category, generated by the power of its laugh-out-loud gravitas. It will be appropriately (?!) recognized with a separate Doctrine Man!! Blue Falcon coffee mug. The judges said: "Profound. Profane. And, in many ways, a nearly perfect description of the challenges of FOB life." The judges said: "This one sneaks up on you, like old age and bad knees." The judges said: "This is an effective reminder of why 'going commando' is never a good idea, even when wearing Nomex. It also makes us want to sing the theme to 'Born Free'!" The judges said: "Anyone who has spent a hot, sweaty night on a transient-tent Army cot will recognize the salty-shadowy outlines evoked by this writer." 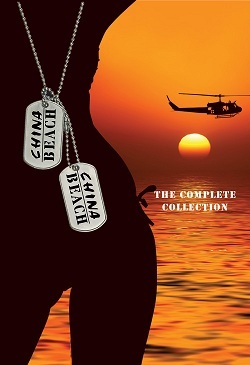 The judges said: "Rhymes and references to Red Bull territory downrange in 2010-2011 Afghanistan! In this case, 'Commando' is a 1st Battalion, 133rd Infantry Regiment call sign. 'Attack! Attack! Attack!'" The judges said: "Eskimos allegedly have 17 different words for snow. We imagine there are also 17 different ways to pronounce the 'sir' in this poem, each with its own unique flavor. And sprinkles of sarcasm." The judges said: "Bonus points for using juxtaposing an acronym and a much-beloved Midwestern brand!" The judges said: "We think this lonely letter from an Embedded Training Team member is potentially the first time that 'Man-love Thursday' has been recorded in Western war-poetry!" The judges said: "This is the most adept use of acronyms we've seen! And it alludes to the carnival vibe some got from seeing a T.G.I. Fridays restaurant on a downrange boardwalk." The judges said: "This, like the Mona Lisa, was nicely ... enigmatic. And universal." The judges said: "This is beautiful! It places the reader in both time and place, and also feels a bit like a Burma-Shave ditty." The judges said: "This writer found a memorable new way to evoke the ideas of 'Groundhog Day' and the 'downrange spouse.' If you have to ask what that means, don't ask." The judges said: "Marines love the sound of the sea!" One Week Left to Enter Boonie's Mil-Haiku Contest! 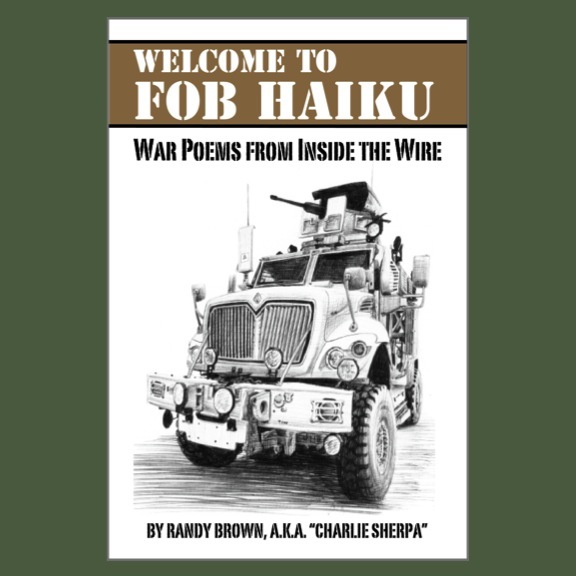 "Boonie's Haiku Contest," in which Red Bull Rising readers are encouraged to pen military-themed poems with lines 5-7-5 syllables each, today enters its last week. Deadline for entries is Mon., March 18, 2013. Click here for rules and ways to enter. Looking for inspiration? Last week, a few entries were featured on the Red Bull Rising blog and at Tom Ricks' "The Best Defense" blog at Foreign Policy magazine! Founded in 2003, the independent literary magazine Epiphany recently published its twelfth issue. 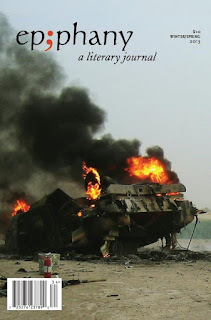 The Winter/Spring 2013 issue was guest-edited by U.S. Army veteran and contemporary war poet Brian Turner, and the entire issue focuses on a theme of war. "Literary magazines are among the best choice for giving us access to a personal truth," reads the publication's Facebook page, "in a media-saturated age of blasé impatience, they are still the best equipped of any format to tell the truth slant." Epiphany publishes fiction, non-fiction, poetry and visual media from both established and emerging writers and artists. We believe that artists and writers reflect the society in which they live and publishing crisp and imaginative writing is of utmost value to any society. Poetry as well as narrative helps people to reflect and understand themselves. To ensure success it is critical to support continuous practice, collaboration and careful editing of the written form. Epiphany supports and honors the determination of writers and artists by publishing and marketing their work. The 200-page war issue is available via subscription ($20 annually; 25 percent off until March 31); direct sales at Barnes and Noble stores; and via the publication's website. Submit one story or essay at a time. Submit no more than two times per year. Submit artwork files in pdf and photographs in jpeg. Tell us if you're submitting simultaneously to other publications. Thanks to the staff of the War, Literature & the Arts journal for the tip! For the uninitiated, challenge coins are useless chunks of worthless metal, but are much-prized in some military circles. One story goes that you're supposed to carry your best coin with you at all times, and slap it down on the bar when challenged. Whoever has the lowest-ranking coin—they're often emblazoned with the rank or position of the official who first presented it—buys the next round. 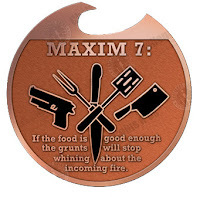 For the record, I have never seen a challenge coin used in such a way. Instead, they're more likely to be collected for personal, commemorative, or sentimental value. Coins are easy to carry, easy to display, and don't take up valuable "love-me" wall space. In some units, coins are presented as "attaboy" and "attagirl" awards, for accomplishments worthy of more than a certificate, but less than a medal. They mean something, but often not too much. Each one is guaranteed, however, to be worth one or more war stories, the kind most likely to start with "the commander gave me this for ..." More on coin-operated war stories in a minute. "This coin won't buy you anything," one of my favorite leaders would say in his standard presentation speech, "but I hope you'll value it, as much as your peers and leaders value you." Challenge coins are like Pogs. Or marbles. Or Pokémon. Everybody can play, from the lowliest Joe to the commander-in-chief himself. 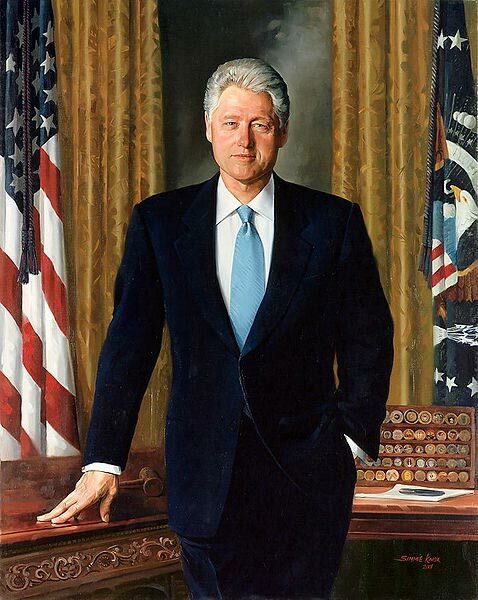 An official portrait of President Bill Clinton even features a challenge coin collection in the background. See Howard Tayler's Kickstarter proposal here. Writer and artist Howard Tayler recently engaged his readers with a Kickstarter pitch: If readers pledged $1,800, Tayler would design and issue a "Tagon's Toughs" challenge coin. The Kickstarter campaign ends Fri., March 22, at 10 p.m. Eastern Daylight Time. Captain Kaff Tagon is a character in Tayler's web comic "Schlock Mercenary." In past Red Bull Rising blog posts, I've previously mentioned with great admiration Tayler's "70 Maxims of Maximally Effective Mercenaries." As of this writing, readers have pledged more than $90,000, and Tayler has proceeded to deliver designs for another 10 coins. One features Maxim No. 2 on one side: "A Sergeant in motion outranks a Lieutenant who doesn't know what's going on." And, on the reverse, Maxim No. 3: "An ordnance technician at a dead run outranks everybody." There is also a Klingonesque premium coin, which will be available as an add-on for those who have pledged. The coin, which does double-duty as a bottle opener, is labeled as a "7-23 Tool." The nomenclature is a possible reference to historical mess-kit helpers, like the venerable P-38 military-issue can opener. Appropriately, the 7-23 features Maxim No. 7: "If the food is good enough the grunts will stop complaining about the incoming fire." And Maxim No. 23: "The company mess and friendly fire should be easier to tell apart." This is not a coin. It is a service, a way for me to say "thank you" to everyone who has ever earned a coin from their command, and to anyone who has ever fumbled for a coin at the bar and wondered what in the name of guided fire was going on. It is a 100-man-and-woman-hour project. And you can help with it. 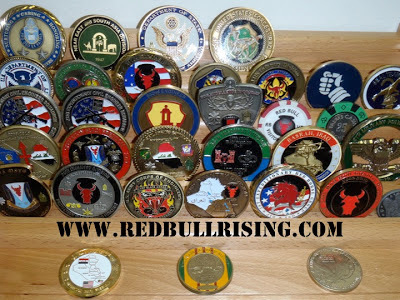 Sandra and I will collect challenge coin traditions from you, from our friends in the military, from friends of friends ... we will collect anecdotes, horror stories, and house rules. We will assemble these into a definitive, unofficial (because there can be no official) guide to challenge coins. I will do spot illustrations, including single-panel comics featuring irony, absurdity, and hilarity. Contributions must be sourced. That means if you have an anecdote to share, it needs to be YOUR story, and you need to put YOUR name on it. We don't want "I heard about this one guy ..." tales. We want "I was standing at the canteen in Kuwait, back in 1998 when ..." or some variation thereof. Tell us what happened. Tell us how your unit used coins. 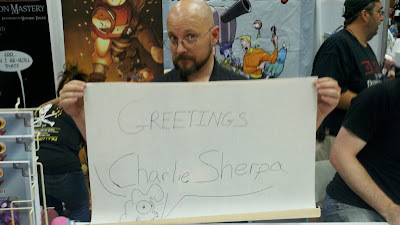 If you want to contribute, email schlockmercenary@gmail.com with the subject line "STRETCH 9 SUBMISSION." Sandra and I will be editing these for spelling and grammar, and perhaps polishing the prose a bit for clarity. If there are details that need to be omitted for security purposes, please omit them BEFORE sending. For more details on Tayler's Kickstarter campaign, click here.